Not all interactions with animals are quite so pleasant. I love the response. That cracks me up more than anything. 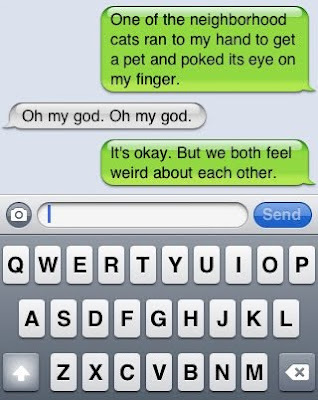 You make me wish I had friends so that I might have these conversations. lol.